If you want to draw a bit of flak to yourself, just try telling your non-audiophile friends (or starter audiophile too for that matter) that a power distributor has an impact on the sound. Recently, I had a few people over to listen to my system. We swapped out the power conditioner for four different power distributors. The baseline reference is the Plixir Elite BAC 1500 balanced power supply. This unit only powers two units in my system, my Melco N-1ZH audiophile NAS, and the Singxer SU-1 USB/SPDIF bridge that is connected to it. In all cases, we unplugged the BAC and transferred the power cords (from both the wall and the components) to the distributors. Let me post some pictures before commenting on the results. Anyone here with experiences on tweaking the Ethernet cable chain ? JB has in another thread posted about using optic fibre. For myself, even changing the Ethernet cable from the NAS to router makes a noticeable difference. I've tried LAN filters (like the one from SOtM) and the difference is very obvious too. Pictures are up. Detailed write-up will follow soon. Let me know which setups you guys liked and why. Anything and everything to do with power snakes ! Which place gave you the best results for your power cord ? If you use a power distributor, was it from wall to distributor, or distributor to component ? What about component ? Source or amp first ? Did you find any correlation between the sound and gauge ? The thicker the better ? Were you able to discern any sonic signature from construction ? E.g. Solid core vs stranded, copper vs silver, shielded ? Shorter or longer ? Which worked better for you ? 1. Distributor to component had more effect than wall to distributor. Changing the power cord for source components seems to have more effect than the power amps. 2. 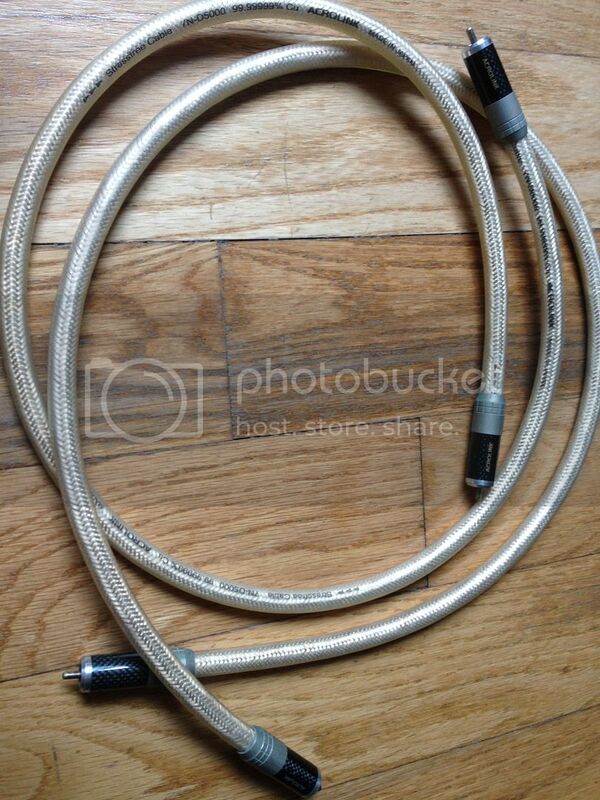 Thin gauge cords never seemed to have worked for me, even for very low current demands. 3. No pattern as far I can hear. 4. Longer works better for me compared to shorter. Longer cords seem to highlight the characteristics of the cable more, while very short cables (1m and less) sound a bit nervous and brittle. To me, the preamp has always been the heart of an audio setup. This is despite the fact that for most people using line-level sources, it may actually be unnecessary to use a preamp. This is especially the case for people using DACs that have built-in volume control, whether this is done in the digital domain, or via an analog attenuator. Let's have a look at the some of the common preamp types around. For simplicity of discussion, let's only include line level preamps. You have a gain stage(s) and volume control. The gain could be handled by solid state, tubes or a combination of both. Sounds simple and shouldn't cost too much right ? If you think you can find a really top notch active preamp for a budget price, let me know - I'll be real interested. No gain here. Just a volume control. Since the voltage from your source (nominally 2V from a CD player) is usually enough to drive your power amp to full levels, why need gain ? Why not just attenuate ? Passive preamps are simplicity personified. Of course there is no free lunch. A passive preamp has quite high output impedance and you need to keep your cabling short and capacitance low. You need to rely on your source to drive the whole chain up to the power amp. Your source could be up to the task, or not. A passive preamp could cost a couple of bucks to make, or big money if you start shelling out for a premium potentiometer and other parts. A variation of #2. But volume control is achieved using a multi-tap transformer. This design has a trick up it's sleeve. Since you are using a transformer, you can step up as well as step down. So you can also incorporate a bit of gain too. Secondly, by stepping down you are decreasing voltage but increasing current, and decreasing output impedance. All very desirable things. Why doesn't everyone do this for passive designs ? Cost ! 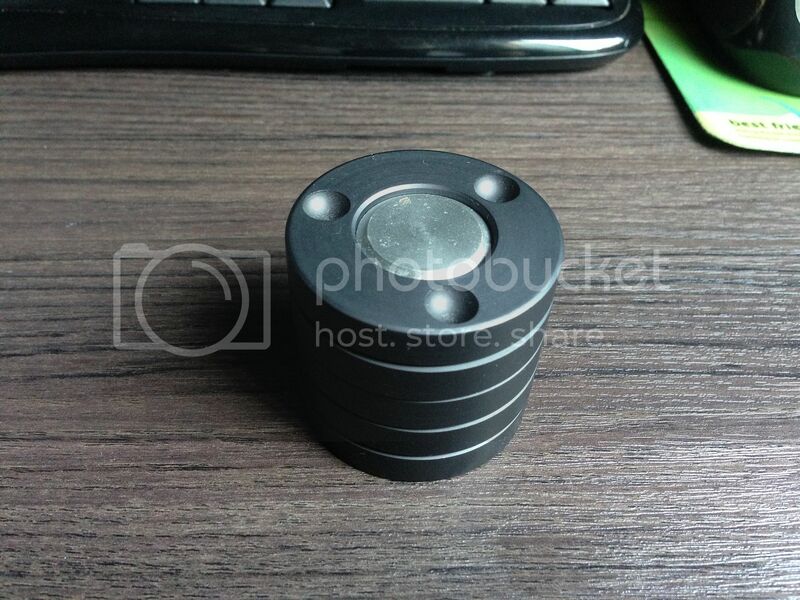 A resistive potentiometer starts from a few dollars upwards. A pair of transformers ain't cheap, especially for the premium names in the industry. #2 and #3 combined - Take a transformer and step up the voltage to have some gain, and then let your potentiometer handle the rest. This is the approach taken by Amtrans of Japan in their APCG-01S. I'm starting this thread to introduce the wonderful world of tube amplifiers to everyone. I've been using tube amplifiers since the early part of my audiophile days (once I had enough money to move on from the popular British budget amps of days gone past). Tube amps are not for everyone though, but I will explain why I like tube amps. Put simply, they are able to convey a liquidity and dimensionality that is hard to find in solid state designs. 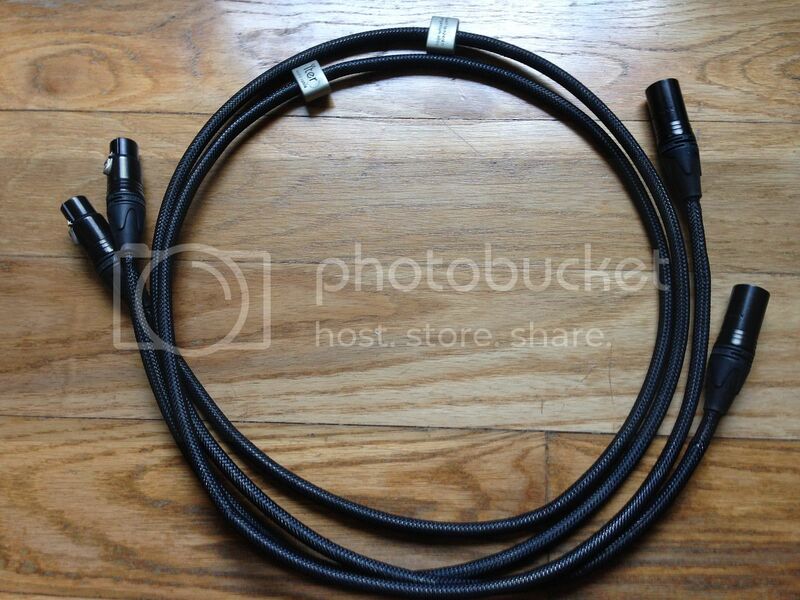 Enough so, that I willingly put up with practical issues such as heat, re-tubing costs and limited power. 1. Should I choose a single-ended triode ("SET") amp, or a push-pull design ? It really depends on how efficient your speaker is, and the type of music you listen to. SET amps generally have very limited power (think single digit watts !). From a purist approach, most audiophiles believe that the design of a SET is more "pure". I can tell you from experience that there are plenty of bad examples of both SET and push-pull amps out there. While the tubes used have an influence on sound, there is a ton of other factors such as the circuit design and parts used. 300b based amplifiers do not all sound the same, and this applies to any other tube out there. 3. Why does a tube amplifier have speaker taps ? I have a 6 ohm speaker but the tube amplifier I am looking at only has 4 and 8 ohm taps. Almost all (you do have special designs that don't have output transformers) tube power amps have an output transformer to couple the power tubes to the speaker load. You should choose an amp with speaker taps that are the same as your nominal speaker load. That being said, nominal impedance is just that - nominal. Impedance will fluctuate at different frequencies. If you have a 6 ohm speaker load, it could very well be 4 ohms or 8 ohms at different frequencies. Choose whichever tap sounds best to you in such a case. 4. My tube amplifier uses tube x. Can I substitute tube y ? You always get this temptation, especially after reading the internet about some random guy that has tried 6550 or KT88 tubes in his EL34 amplifier (all 3 tubes use the same socket). Always get clearance from your manufacturer before trying this. Even if the tubes work properly initially, it could shorten the life of your amplifier or even damage it. When the KT120 tube was launched, many people with 6550 / KT88 amps wanted to give it a shot. The KT120 uses more heater current. Your manufacturer should know whether your amp's heater supply is up to the task or not. 5. Can I buy tubes from anywhere, or must I get them from the manufacturer of my amp ? Do I need matched pairs / quads etc for power tubes, or preamp tubes with matched sections or low noise ? You generally can get them from any reliable supplier. However, some manufacturers have selected tubes that are required for their equipment to perform optimally. In some high gain designs for example, the manufacturer may have selected tubes for low noise / microphony. If you can get matched pairs / quads for power tubes, by all means get them. It is no guarantee though that they will remain matched in your amp over long term use ! If you have a fixed bias amp that only has one bias trim pot per channel (for a push pull amp), or heaven forbid, one trim pot for the whole amp, then you will need matched power tubes since you can only adjust bias in for a specified group of tubes. Low noise tubes, or matched sections for preamp tubes are only necessary if recommended by your manufacturer. Otherwise, you just end up wasting money for nothing. I have some finicky equipment that are very selective on tubes. Many tubes that are too noisy for this amp work just fine on other equipment. 6. How often must I replace my tubes ? Your manufacturer will have a recommendation on when this needs to be done. It depends very much on how hard the tube is being run, and the ventilation you have. Preamp tubes generally last a lot longer than power amp tubes. 7. How often must I check the bias of my power tubes ? There is no real need to check the bias of your power tubes religiously, nor a need to bias them to atomic clock precision levels. I always check the bias of my power tubes when I replace them, and I'll follow up to check it after a few days of use, and maybe a month down the road. After that, I'll just check it once every 4-6 months. In fact, checking them too often and fiddling with the bias pots everyday wears them out. 8. Do all tube amps sound warm, syrupy and "thick" ? Nope. I've heard solid state amps that sound like tube amps and vice versa. Most brands have a certain house sound and some brands have a more romantic sound, while some others really sound fast and linear. 9. Singapore has 230V mains voltage. Is it OK to import a tube amp rated for 220 or 240 V AC operation ? Ask the manufacturer. Depending on how high / low the plate voltage is, and how the heater voltage is derived, this could be a problem. In a worse case scenario, your amp rated for 220 VAC could see incoming mains voltages as high as 240-250V (not uncommon in Singapore). This could result in higher plate and heater voltages and other nasty things. Not good for your amp. In theory, a 240V model used with a 230V supply would result in the converse, overall low voltages in the amp. Also not good. However, in practice very few people in Singapore have voltages spot on at 230V or below that. Most are on the higher side anyway. In that sense, it makes sense to go for a 240V model over a 220V model. 10. I want a tube amp with balanced inputs and outputs. Why are there so few on the market ? There are very few tube preamps with true balanced signal paths. A 2 channel preamp with a true balanced signal path is actually a 4 channel preamp (normal and inverted left, normal and inverted right). To reduce costs, many of the tube preamps that offer balanced inputs and outputs actually use converters (whether transformer or circuit based) to convert balanced signals to single ended, and then vice versa on the output. 11. I want to match a tube preamp with a solid state power amp. Quite a popular approach. Very powerful tube power amps are expensive, hot and bulky. Why not combine a tube preamp and a solid state power amp ? You get the tone of tubes, and the power and slam from solid state. Most tube preamps have a fairly high output impedance. When you couple a preamp with a high output impedance, with a solid state power amp with a not so high input impedance, you will get high frequency roll-off. You should aim for at least 50x difference, e.g. a tube preamp with an output impedance of 1K ohm should be paired with a power amp of at least 50K ohm input impedance. Depending on who you ask, you will get all kinds of answers, like 10x, 20x, 100x. Tube preamps that do not have start-up muting circuits may also make pretty nasty noises upon turn on / warm-up, so you have to develop the habit of switching on the preamp first, waiting for a minute or so, before turning on the solid state power amp. This post is more for information purposes than anything else. But feel free to add on if you have had any interesting experiences. Singapore uses UK BS 1363 type of sockets for our household mains. That wasn't really a problem when I started out in hi-fi many years ago, until aftermarket power cords started to appear. We had a sprinkling of audiophile power cords terminated with UK plugs, but most of the stuff hitting our shores were terminated with US ones. 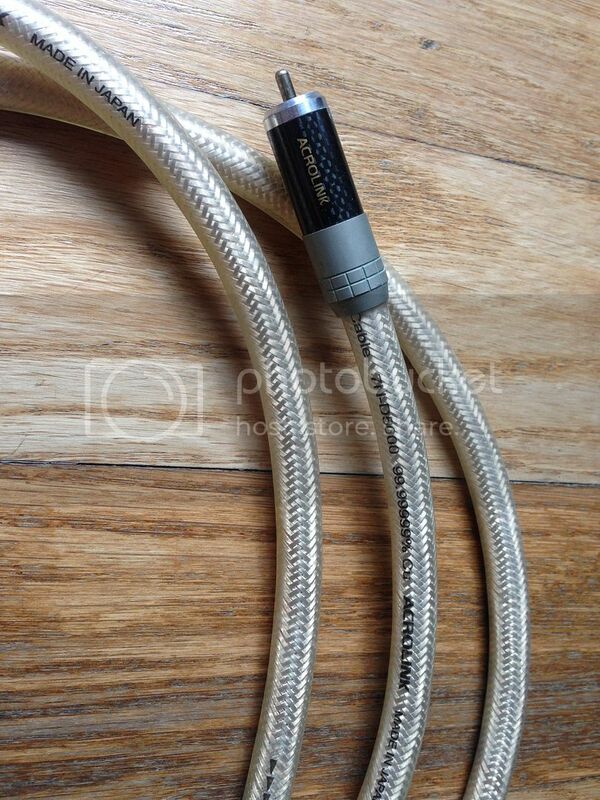 You could re-terminate your cords with UK plugs, or make your own using of-the-reel audiophile cables, but the problem is that few UK plugs are friendly to the garden hose thick cables we audiophiles like to use. Furutech does make a UK 1363 plug that can accommodate very thick cables and large gauge conductors, but they are expensive. Your world of available cords and AC distributors shrinks overnight. Some guys start whining about the additional contact points of the switches, the horrible effect of the mains fuse etc. You break up in cold sweat in the middle of the night - you just had this recurring nightmare of being banished to audiophile hell - all the records and equipment to play with, but no a single power socket in sight. It was enough to make a grown man cry. I actually don't think this is as bad as people make it out to be. UK plugs and sockets have really beefy blades and contacts. A compromise of sorts - you still use your existing UK socket mains outlet, but the universal sockets allow you to experiment with US power cords, and still plug in UK type cords, or circular two pin plugs. If you didn't have any nightmares, you should ! As my daughter was fond of saying when she was young, "Naughty no no !". Polarity nightmare in the making - looking down at the socket, the live pin of a UK socket is on the right, while for a US one, it is one the left (assuming the earth socket is on top). Mix UK and US sockets, and you will have a delightful mix of equipment wired in correct and incorrect polarity. Again, because of the polarity differences, this usually results in your US plug in reversed polarity. You can get adapters with corrected polarity, but these aren't really that common. Most of those I've encountered have a fuse. In any event, these adapters do impair the sound. So you end up skipping the switch and the fuse. Changing your wall socket to a US type can be either straightforward or a nightmare. If you have the typical HDB wall socket (with the box sticking out of the wall), this is quite easy to change. Some hifi dealers set metal or plastic faceplates that replace your existing faceplate with cutouts for US receptacles. If your box is built into the wall, this can be a little tricky due to insufficient mounting depth. BTW, you can also save yourself a lot of grief by converting a double gang UK outlet to a US one. Single gang UK outlets are generally too small to fit US receptacles. Them mickey mouse ears (the mounting tabs) get in the way. I've had the misfortune of breaking off the mounting tabs only to find that they still couldn't fit properly. Oh, and for heaven's sake, get professional help if you don't know how to do it yourself. Play safe. And remember, not all electricians will do this for you - it's not permitted by local regulations. Remember folks, you are now counting on your circuit breaker at your main electrical panel to handle a current overload. If you ask around, you will probably get a lot of "advice" telling you how safe this practice is. They will remind you that the equipment fuse is a lot smaller than the 13 amp fuse in a UK plug. Sure. What if the fault develops in the cable from your wall to distributor ? Remember, this is not legal, and if anything goes wrong your insurance company could refuse to pay out if they found out. Do this solely at your own risk. Up for sale are two good condition Kingrex PSU Mk II. I have both 12V and 5V versions available. Deal in Raffles Place or Bukit Timah area. Please SMS or Whatsapp 96 triple8 714, if interested. Please SMS or Whatsapp 96 triple8 714, if interested. Deal in Bukit Timah or Raffles Place. Condition 7/10. Asking for $800. Pictures of actual item. Starting a thread to share and talk about power conditioning. I've set out a bit of what I've tried and the results. These range from the cheap and cheerful computer variety type of outlets (like Belkin, APC etc), to the dedicated audio brands like Tacima or China brands like Bada, Longyu and Weiduka. Although the parts count varied, you would expect to find a MOV for surge suppression, a couple of capacitors and a choke(s) for filtering. I personally didn't have much long term success with these from a sonic point of view. For models that use universal outlets (you know, the type that can accept both a UK or US type plug), I always had a problem with intermittent contact. The really popular products of the past were the Audioprism Quietline and the PS Audio Noise Harvester. The main advantage of these products is that they were connected in parallel to the mains, and did not limit current. Many products in category 1 incorporate parallel filters. These operate at radio frequencies and above. As they are quite small, you can use a few, close to the source of interference where they are most effective. I actually find these quite useful. I made my own, and the parts used have a profound outcome on sonics. Sadly, the best sounding capacitors are not rated for continuous mains use. That being said, you could get decent results using properly rated parts. Made popular by brands like PS Audio and Pure Power. You have the rectified DC, and an inverter to regenerate the 50 Hz (in Singapore) sine wave. The Pure Power threw in a rechargeable battery. Like balanced transformers, the type of transformer used has a big effect on the sound. Concept is quite simple. Have your mains line magnetically coupled via a 1:1 transformer. The 50 Hz AC gets across, while all the rest of the nasties don't (at least in theory). Your are limited in current based on transformer size. Transformers large enough to power a large hifi system are big, heavy and bulky. If you are really unlucky, you may even end up with a physical buzz on your transformer. Noise is cancelled via common mode rejection. Like isolation transformers, you are current limited by the size of your transformer. I currently use our locally made product, the Plixir BAC from Sound Affairs - quite good results. In one corner of the ring, you have the guys who are insistent that nothing can make a difference in the USB audio chain - they argue that an external hard drive runs fine and transmit data without error - no fancy USB cable or anything else is needed. In the other corner, you have the guys sitting with every single box, tweak and power supply known to man. Stock USB cable from computer to DAC ? Surely you jest. Instead, you have aftermarket USB cables (some of which cost more than your typical computer), devices designed to clean up the data line and power line, regenerate the signal, offer galvanic isolation. Add to that mix, high quality low ripple power supplies designed to power all of that. Not content to use a single device ? Heck, you have the daisy chain users. One of the threads on another forum on the popular Uptone Regen has a discussion on using two Regens in series, and which version should be used where. Care to share what you use and what difference it made ?